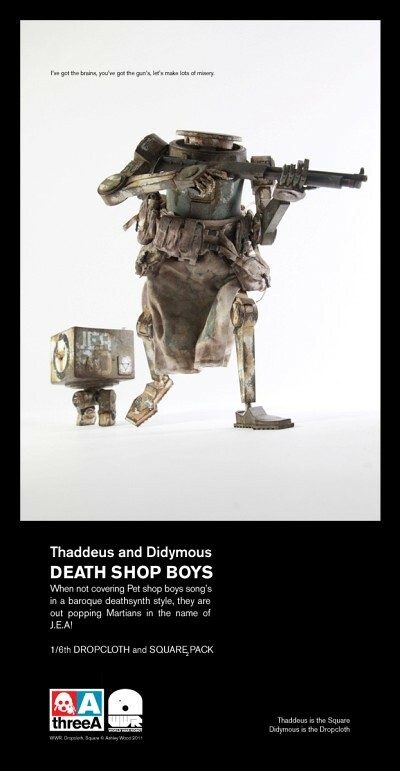 toybot studios: 3A 3rd Anniversary DEATH SHOP BOYS and BAMBABOSS Onsale Tomorrow..! 3A 3rd Anniversary DEATH SHOP BOYS and BAMBABOSS Onsale Tomorrow..! This 1/6 scale JEA Set Thaddeus and Didymous will be released tomorrow at Bambaland at 6pm PDT to celebrate 3A's 3rd Anniversary..! Happy Birthday..! The set will cost $125 and 3AA members will have a 24 hour window to order. JEA Dropcloth will come with shotgun and pistol. 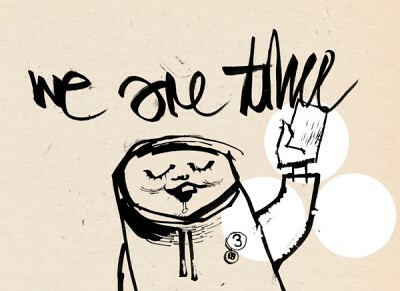 Also onsale will be this rather cool looking Three Years Anniversary Bambaboss or "3OSS"